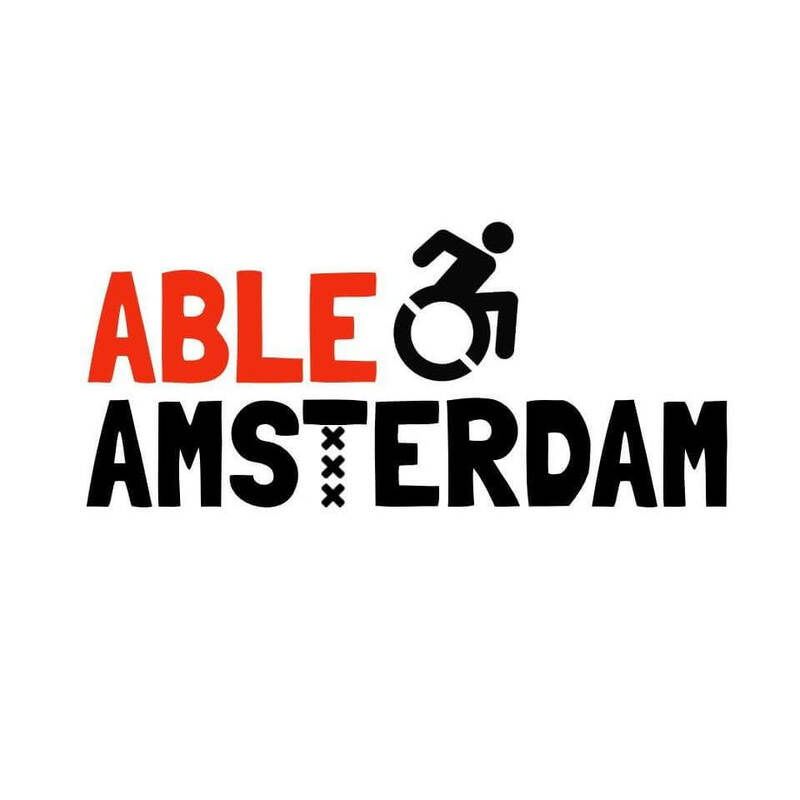 What is the story behind Able Amsterdam? Able Amsterdam started indirectly after I survived a severe traffic accident in May 2017. I was on the back of a friend’s scooter in Phnom Penh when we were hit by a speeding taxi. I came out of the accident with life-threatening internal injuries and serious damage to my face. 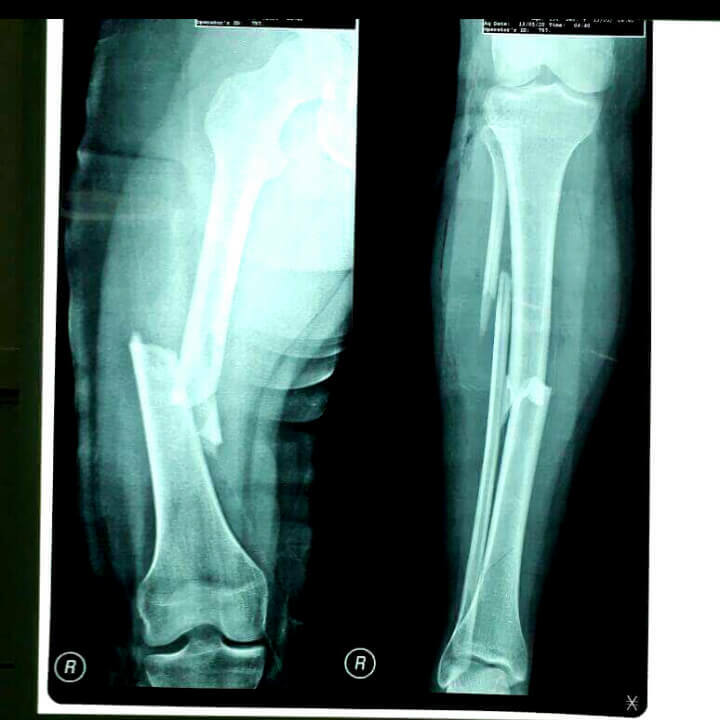 My right femur, tibia and fibula were completely crushed. My femur fracture was so complicated that my mobility is still impacted to this day. Fortunately, my wheelchair, rollator and crutches mean I can enjoy life and live as independently as possible. I moved to Amsterdam last year and couldn’t wait to explore the city. However, I was constantly confronted by inaccessible places. Restaurants without wheelchair-friendly toilets; shops without accessible fitting rooms; bars with narrow doorways; gyms without lifts. English-language accessibility resources were particularly limited. Existing information was often scattered across various websites. Sometimes, advice would simply be unreliable. I once read about an ‘accessible’ restaurant online, only to find on arrival that there was a ‘wheelchair-friendly’ toilet that could only be reached up a 20 cm step. 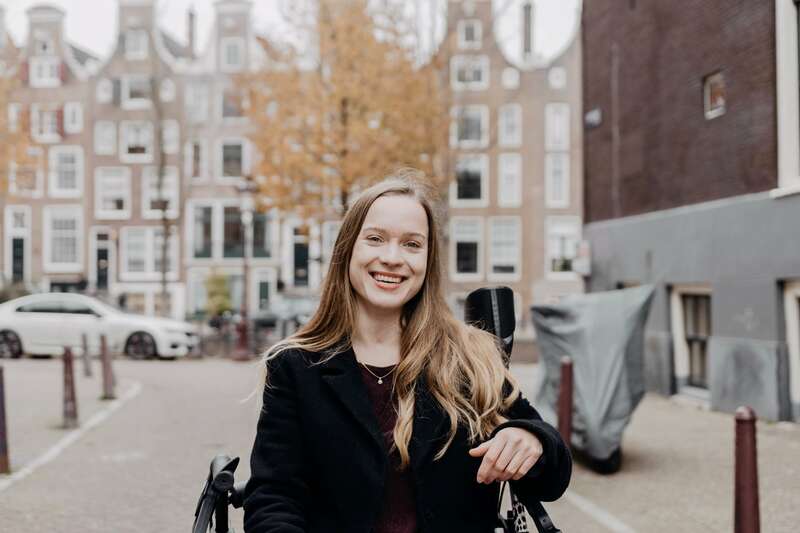 That’s what led me to creating “Able Amsterdam” – personal struggles and the need for a reliable English database of accessible things to do in this city. Has physiotherapy helped you in your recovery? Definitely. I’ve had physiotherapy every week since my accident. For the first year, I wasn’t allowed to put any weight on my right leg, so my sessions focused on exercises to rebuild muscle mass and strength. Once I became weight-bearing, I had to re-learn how to walk. It was probably the most bizarre, frustrating, and amazing thing I’ve ever done in my life. I recently had another big operation on my femur, so I’m non-weight bearing again for the coming months. I’ll have to re-learn how to walk a second time. It won’t be easy, but I’m grateful that my physiotherapists will support me to conquer it again. What are the most difficult things you’ve dealt with during your recovery? When I lost my mobility I lost my independence. It was really difficult to go from being an independent 23-year-old to relying on others to help me with everything. The struggle to find accessible places has been a big challenge too. If I’m out in a restaurant, shop, or museum and realise I can’t get in, or I can’t access the toilets, it reminds me of my disability at an exact moment when I’m trying not to think about it. I hope Able Amsterdam will make things easier for others in a similar position, allowing people to maintain as much independence as possible and enjoy themselves. Do you have some advice for our physiotherapy students? Remember that as a physiotherapist, you have the power to brighten your patient’s day and support them through life-altering injuries. You are appreciated and valued more than you may realise. In my experience, physiotherapy has been a massive source of support and social contact. Aside from providing an important professional service, physiotherapy has given me a lot of laughs and positive memories to help me throughout my recovery. What are the main goals of Able Amsterdam? Through Able Amsterdam, I want to show all the things you can do regardless of physical mobility. My aim is to create a centralised, reliable resource that can help other wheelchair users. As there is no existing English database, I strive to make accessibility reviews open to Amsterdam’s expats, tourists and other non-Dutch speakers. Finally, I want Able Amsterdam to help shatter disability stereotypes. Using a mobility aid doesn’t and shouldn’t define someone. I hope to remind readers that individuals with reduced mobility deserve to explore, pursue interests, and get the most out of this city just like anyone else. What are the least and most accessible places in Amsterdam? There isn’t really one least accessible place – there are countless places in Amsterdam that I can’t even enter as a wheelchair user. One of the most accessible places is the “Rijksmuseum”. Spacious lifts, superb accessible toilets, and ramps are just some of the things that make this museum wheelchair-friendly. The “Rijksmuseum” even has an Inclusion Coordinator whose job revolves around ensuring that the museum is accessible to everyone. If you hadn’t had your accident, would you have still created Able Amsterdam? I don’t think so. Like many people, accessibility wasn’t something I thought about. 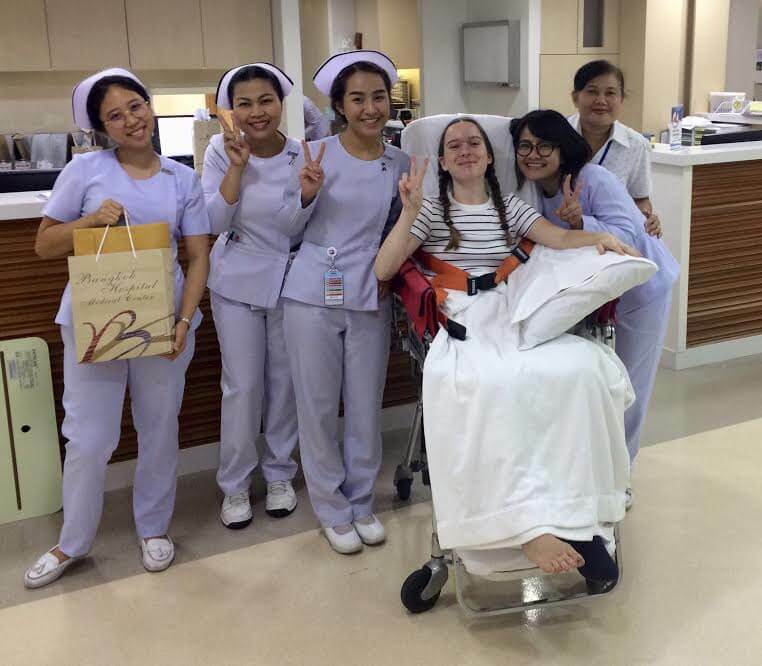 It wasn’t until after my accident that I experienced the struggle of finding wheelchair-friendly places. For the immediate future, I have several surgeries planned and will continue to give recovery my all. In the coming years, I hope to re-learn how to walk as best as I can. For now, I’m excited to keep adding to the Able Amsterdam database and will be launching its website in early March. I’m looking forward to building up my network and seeing where this professional field may take me.